permanent. So far in season 2009 the prancing horse has been trialling a quasi departure from F1 by running its cars towards the back of the field. Happy with this lack of progress and wildly unhappy at the planned budget cap due for introduction in 2010 the lads at Maranello look set to join Toyota by taking their bat and ball and going home. 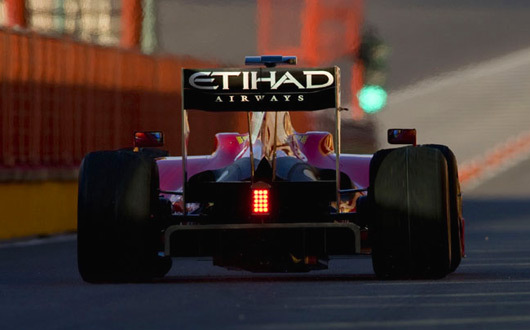 Makes a change from a few weeks ago when Ferrari were talking of giving up on this season and starting plans for their 2010 car. Of course, the nature of F1 dictates there is still an ocean of water to pass under this bridge before any of these announcements become set in stone. Still, makes for the most exciting F1 season in years, with both the on and off track action reaching similar peaks. ~ by Rud3Boy89 on June 1, 2009.